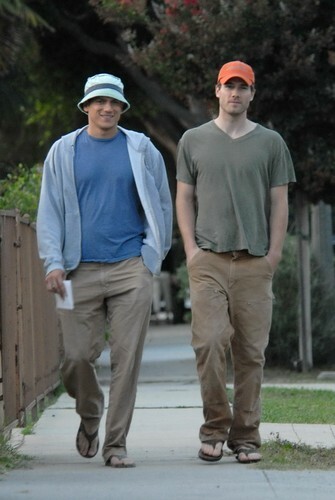 08/25/07: Luke and Wentworth Miller in Los Angeles. . HD Wallpaper and background images in the Wentworth Miller club tagged: luke macfarlane wentworth miller. This Wentworth Miller photo might contain fahrbahn.